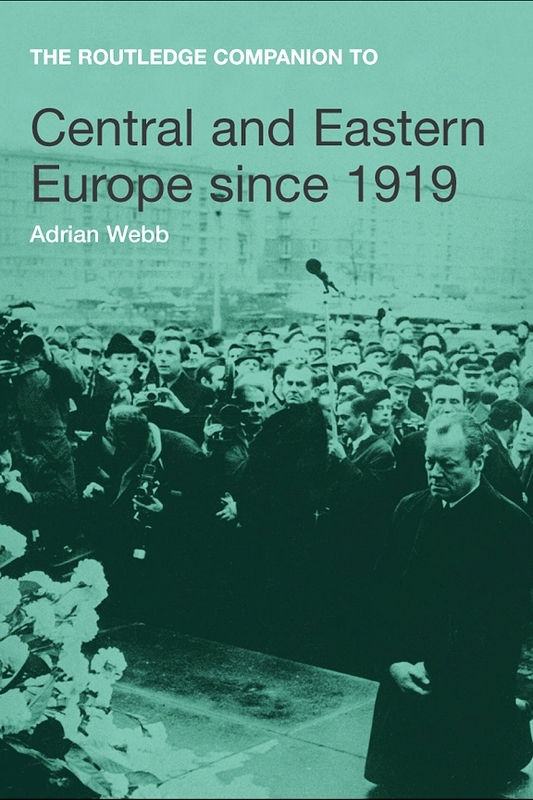 Adrian Webb, "Central and Eastern Europe since 1919"
'The Routledge Companion to Central and Eastern Europe since 1919' is a compact and comprehensive reference guide to the area, from the Treaty of Versailles to the present day. With particular focus on the early nationalist and subsequent fascist and communist periods, Adrian Webb provides an essential guide to the events, people and ideas which have shaped, and continue to shape, central and eastern Europe since the re-ordering of Europe at the end of the First World War. •	glossary of specialist terms. With a wealth of chronological, statistical and tabular data, this handy book is an indispensable resource for all those who wish to understand the complex history of central and eastern Europe. Adrian Webb is a writer on European political and environmental issues. He was a part-time lecturer at Southampton Solent University, 1996–2007, and has contributed to a number of key works of reference. Dr Webb is a Fellow of the Royal Society of Arts.